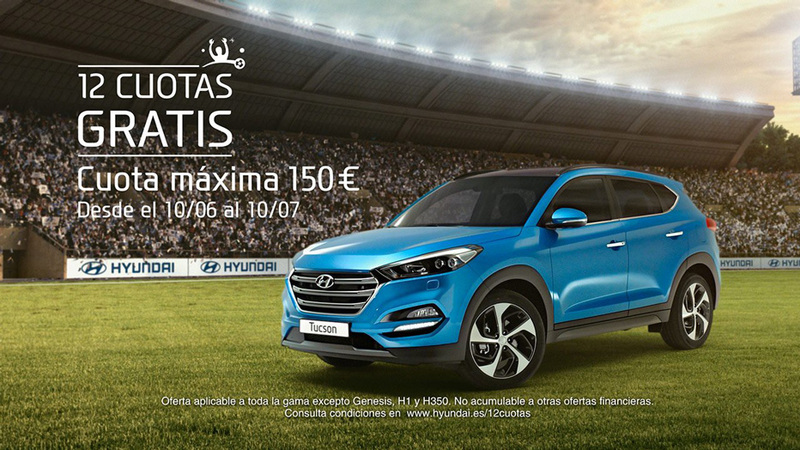 This project was created for La Bicicleta AD, a digital post production studio based in Madrid I regularly work for. 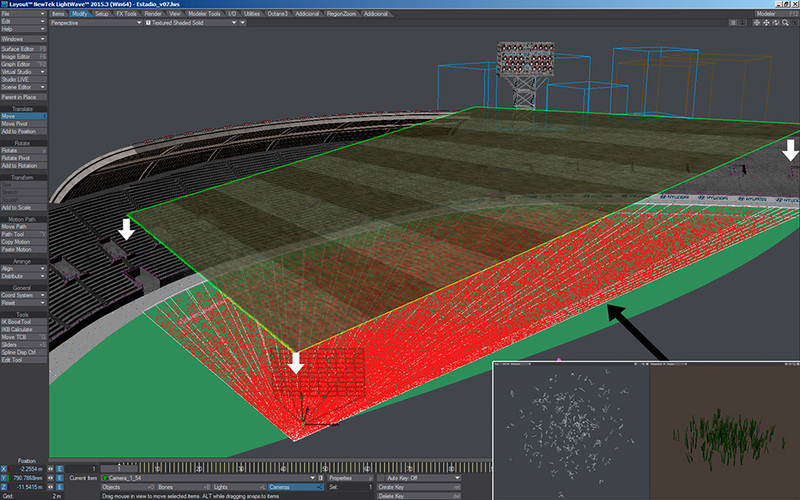 My job was to rebuild a digital soccer stadium with people moving and waving flags. The first step consisted in preparing an animatic matching the shot of the filmed car. 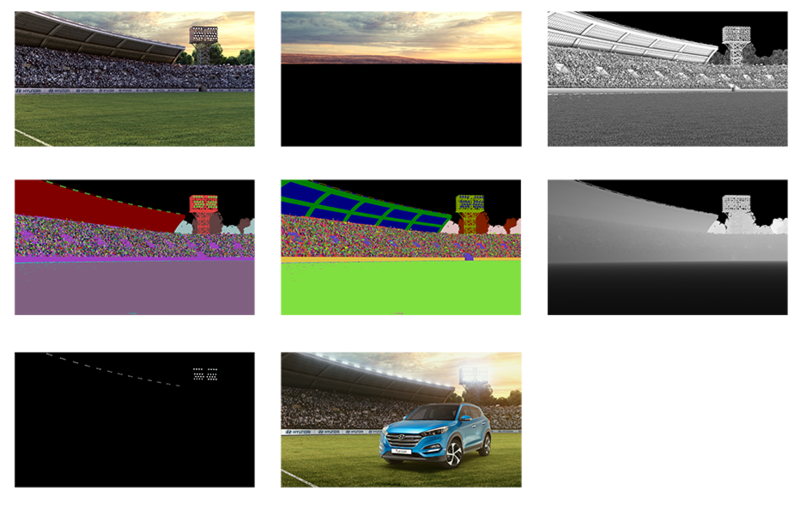 After tracking the scene, I started to model the football stadium and the environment (lights tower and trees) based on a reference photo. 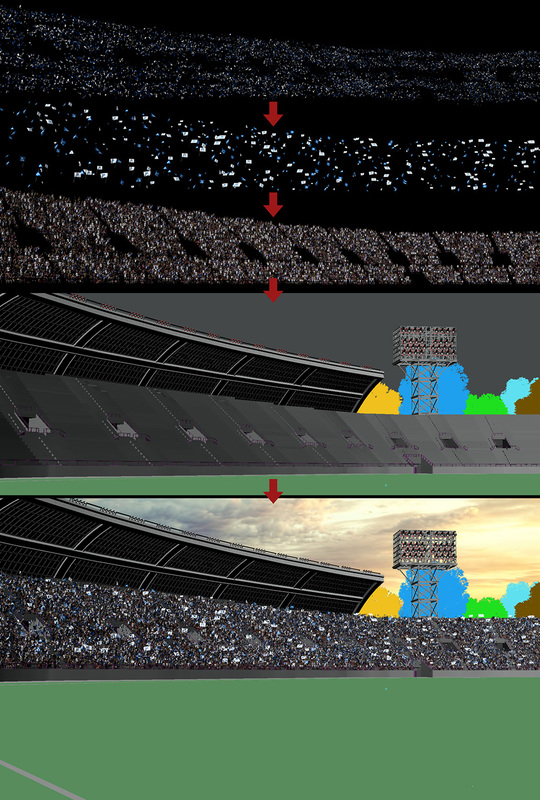 The terraces contained three layers: 3D moving dummies, moving flags and confetti falling into the field. The grass had to be prepared in detail so that repetitions would not be noticed and had a realistic appearance. To do this, I prepared a small sample of grass instanced through the field and applied an high resolution texture on the Y axis. The scene was rendered with Octane Render plugin for Lightwave in several layers, then composed and color graded by La Bicicleta Ad.